What are your Australian shipping arrangements? Little Gulliver parcels are shipped daily from metro Melbourne (postcode 3146) | express post is available. Little Gulliver understands travel plans can be last minute. Please email us for any help or assurances on package timing. * To check if your postcode is in the Auspost next day network please see here. Little Gulliver ships from postcode 3146. The above diagram may be found within a Product's detailed description and will indicate the shipping options available for an order containing that product. Shipping options available will be highlighted in Green. Shipping daily to Aust and NZ customers. Most orders received before 3pm will ship that day or within the following 24 hrs. The Regular shipping fee rate is for orders of any size to an Australian address (some Bulky item exclusions apply - see below). Our delivery partner is Australia Post and delivery times are approximately 2 - 5 business days across Australia. Please view the Auspost website for more detail on the timing of their shipping services. All LG parcels ship from Postcode 3146. We carry a number of products deemed "Bulky" eg. Cabin luggage or the Regalo Portable Child Bed. These are marked in the product description as "Bulky" and incur additional flat rate postage, which will be included at checkout. For heavy or bulky orders above 5kgs (cubed weight per Auspost requirements) we may also contact you to discuss special delivery arrangements. The Express shipping service provides prioritised warehouse processing and faster delivery via Australia Post Express Post service. Generally this is next day delivery to metro destinations and includes a tracking number service. To check if your postcode is in the Auspost next day network please see here. Little Gulliver ships from postcode 3146. The Express shipping service is available for eligible Australian destinations only and a 5kg limit per order applies. We may contact you to discuss further delivery fees for larger express orders. ”Hi Ben, just wanted to let you guys know that the parcel has arrived, super fast. Thank you. I'm sure I'll be back soon to stock up on some more goodies. Little Gulliver provides order status updates via the Globecharge system. To view an order update, including parcel shipment numbers, click 'Track Order Status' on your customer order confirmation email. Parcel shipment numbers can then be used in the Australia Post parcel tracking system www.auspost.com.au/track/ where Auspost provides limited tracking updates. A Little Gulliver customer assumes all risks once the parcel is lodged with AusPost. A card should be left by AusPost after a failed delivery attempt. Collection would then be from your local post office. Risk of loss, damage or deterioration to any products will pass to you upon lodgement with Auspost. Yes. We understand even fast postage sometimes isn't enough, so we're happy to arrange pick up orders for those 'emergency' situations. Order pick-up is from our office in Glen Iris, Melbourne. Please complete your order online and select "Pick Up" as your shipping option. We then confirm, via email, your preferred pick up time and address details. What are your overseas shipping arrangements? Most items ship for a flat rate of $A15 for any number of items in the same order. Items marked bulky may incur further shipping costs. Delivery for orders weighing up to 20kgs are via Australia Post Standard International Post service. This service takes approx 3 days to reach Auckland and clear customs and then the standard NZ Post delivery timing applies. Most parcels should arrive approximately 5 business days after lodgment. Parcel tracking is provided on the NZ Post website (www.NZpost.co.nz) or AusPost website (www.auspost.com.au/track/). Please note customers assume all risk once parcel is lodged with AusPost. For heavy or bulk orders you may be contacted by the Little Gulliver team separately for an additional postage and handling charge. Most items ship for a flat rate delivery fee of AUD $30 for Standard International Post service if available to the destination country. Please note Australia Post parcel tracking may not be available for all destination countries. Customer assumes all risks once parcel is lodged with AusPost. Please note Australia Post will not investigate missing parcels until three months after date of shipment. Express Post International is available upon request and will incur additional shipping costs. ”Thank you for bearing with me! For deliveries to any other international destination please contact us to arrange a quote for postage and handling. Orders completed before 3pm (cleared payments) AEST weekdays are usually posted same day or next business day. Where is Little Gulliver based? Little Gulliver is based in Melbourne, Victoria, so please take that into account when calculating delivery times. The more remote the destination the longer it will take to deliver. View our products in our online store. Click 'add to cart' on your selection. Click 'continue shopping' to view more items. When your shopping cart is complete, go to 'Checkout' and click 'select a shipping destination' to choose delivery country and regular or express service. Then click 'secure check out' to bring up a secure globecharge payment screen and enter billing and delivery details. What payment security measures are in place? All Little Gulliver orders are protected by GlobeCharge, a global company that specialises in securely tracking, authorising and accepting electronic orders from more than 100 countries around the globe. Globecharge's patented fraud protection system ensures the secure transfer of your shopping data. All your personal and payment data is entered on secure pages and transferred using high grade SSL encryption to protect your data from being intercepted during the transfer on the Internet. As soon as your payment for this order has been approved, your payment details will automatically be deleted from Globecharge's secure servers. Little Gulliver accepts Visa and Mastercard credit card payments. Select Visa or Mastercard when at the 'secure check out' stage. Payments are processed securely by our credit card merchant service provider, PayPal, and as such we do not record or store any credit card details. For non-PayPal members, please note you are not required to have or open a PayPal account to use this facility for Visa/Mastercard payments. Just click on "Pay with your credit or debit card" which is under the "Don't have a PayPal Account" message in the centre of the PayPal screen, then enter Visa or Mastercard details. For PayPal members who wish to make a PayPal fund transfer, please send to PayPal account sales@LittleGulliver.com.au. Once your payment is completed you will then receive an email confirming payment was successful. How do I pay by bank deposit? Select Bank Deposit as your payment option at 'secure check out' stage. Orders will be shipped following receipt of cleared funds. Yes! Note our phone is not staffed all day, please leave a message and we will return your call. Phone orders can be made between 9.00am and 5pm weekdays. Please call on 03 9824 6770. Little Gulliver offers payment through Paypal, ensuring a secure payment gateway for all of our customers paying via Visa/Mastercard or with a PayPal account. Little Gulliver does not receive your credit card details. 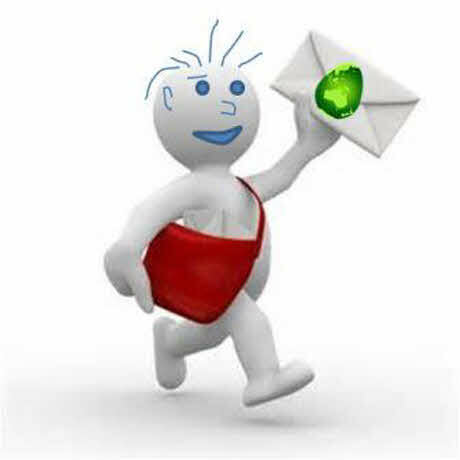 Customers receive a confirmation email from Little Gulliver upon ordering from our store. At time of completing an order, there is an 'Opt In' option to join the Little Gulliver email newsletter group and receive regular updates, specials and exclusive deals (typically once a month). If you 'opt in' and then wish to be removed from the mailing list you can send an email anytime to remove@littlegulliver.com.au or select unsubscribe on any Little Gulliver email newsletter. Any personal details which Little Gulliver receives from customers as a result of an enquiry or order are kept confidential. What are your general conditions of sale and disclaimer? Please note the information contained on our website is for general information purposes only. Whilst care is taken to ensure the accuracy and validity of all information presented, we make no representations or warranties of any kind, express or implied about the completeness, accuracy, suitability or reliability in regards to our website or products and services contained therein. We do our best to keep in stock most products listed on our website. All stock availability as represented on our website or by our sales or Customer Service Team is accurate in accordance with our current stock levels however these stock levels are subject to change without notice. If, for any reason, we cannot supply a product you have ordered, we will let you know via email using the details provided by you at the checkout process to amend, wait for stock or cancel your order as agreed with you. Notwithstanding delivery of the products to you, title in the products will not pass to you until the later of delivery or your payment has been processed or otherwise received by us. If your payment is declined for any reason we reserve the right to reclaim the products from your possession, custody or control even if they have been delivered to you or moved from the delivery address. We reserve the right to keep or sell the products. Please contact us if you have any other questions. We are always happy to help. We hope you will be completely happy with your purchases. However, if for any reason you need to return goods, please do so within 30 calendar days of your purchase, unused with all packaging and tags intact and we will either exchange them or provide a refund. Please include a copy of your order with your details and reason for return. Send together with your items to our Head Office address found on the contact us page. Note we do not refund postage costs for returns. Product exchange will require additional postage and handling charges.